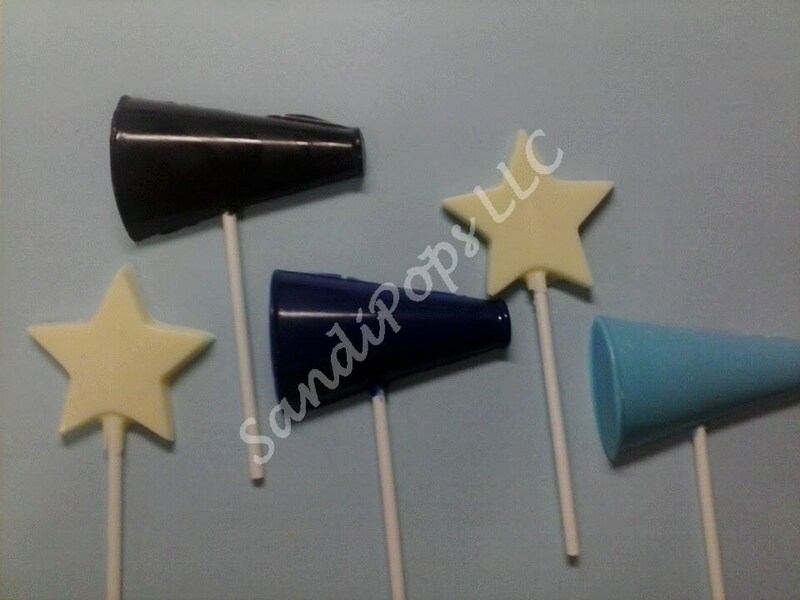 This particular listing is for 12 Megaphone chocolate lollipops and 12 stars in your school colors (cheerleaders also available). Each lollipop is individually wrapped in a bag and tied with a curled white ribbon unless you want your school colors. I can certainly make any number of pops you need, convo me for pricing.